Westworld Season 2 plumbs new depths and raises new questions in a compelling human installment. Warning: This contains spoilers for Episode 4 of Westworld Season 2. Haven’t seen it yet? 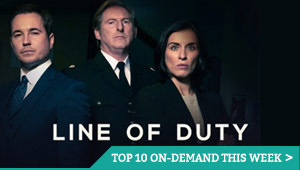 Read our spoiler-free review of the season’s opening episodes, or click here to find out how to watch it online. 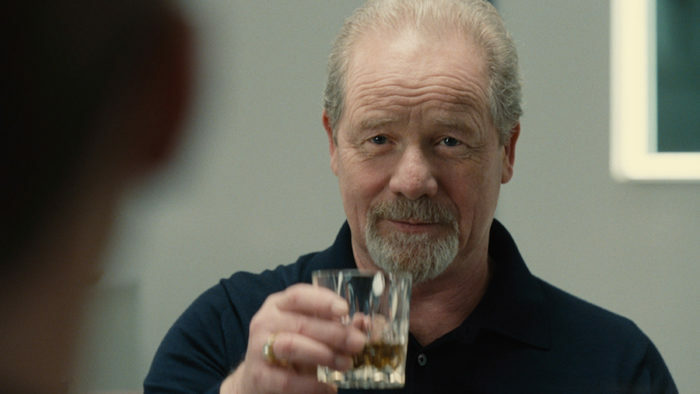 “If you aim to cheat the Devil, you owe him an offering.” Those are the ominous words of Jim Delos (Peter Mullan), founder and owner of the Delos Corporation, as he goes about his daily routine. He rides his bike, he has a cup of coffee, he accidentally spills the cream, and then he has a visitor: William (Jimmi Simpson). This isn’t the first time that he has visited, and it won’t be the last – because Jim Delos, we learn, isn’t actually Jim Delos anymore. The old man, who was suffering from some kind of illness last time we met him, has already passed away. His consciousness, though, has been transferred into a “control unit”, a host modelled to look like him, sound like him and act like him. But can it think like him? 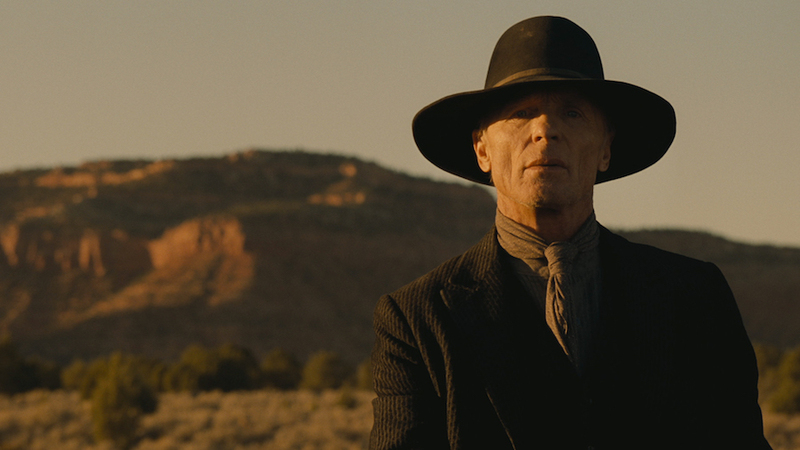 Aye, there’s the rub, it turns out, as The Man in Black (Ed Harris) turns up after they’ve been doing this for decades, and each time, it ends up the same. He gets up in the morning, he rides his bike, he has a cup of coffee, he accidentally spills the cream, and then he recites the same dialogue to William, before struggling to finish his sentences; a Groundhog Day cycle of failing cogs and malfunctioning synapses. Is it a mechanical problem? A coding error? Or something more intangible than that, as the essence of human identities can’t be swapped or duplicated in such a literal way? These are the nuts and bolts of Westworld’s meatiest philosophical debates, and this trip away from the theme park to spend time pondering them is a welcome break from the violence and retribution being handed out by the now-sentient hosts. It throws everything they’ve gone through into painfully sharp relief, as we see what it’s like when the host life-cycle is applied to someone purportedly more human: Jim, apparently, has been rebooted 149 times. It also crystallises one of the central concerns of Season 2, which was raised by Dolores back in Episode 1: what counts as real? That which is irreplaceable? Not anymore, because Delos has invented a way to literally replace someone with an identical host. It’s the logical extension of the theme park’s purpose, which Dolores says she is aware of – not just capturing the guests’ data, but also having the potential to turn them into immortal robot clones. The question now is whether that’s because their wealthy clients might pay them for it (Jim Delos, for example, explicitly wants to keep on living like a god), or whether they’ve been doing it to influential people in the real world, without anyone knowing. It’s a question that threatens to expand Westworld’s horizons far beyond the company and into global conspiracy territory, teasing fresh new horrors and mysteries in a bigger picture we can’t yet see. Either way, The Man in Black has grown to regret it, something he intimated in the last episode, as he decided to put a stop to Delos’ plans, whatever they are. “I’m beginning to think this whole enterprise was a mistake,” he says to Jim. “Humans weren’t meant to live forever.” Then he leaves him to die – or, more accurately, go on living and corrupt slowly in his apartment-like cell – a prison that director Lisa Joy captures with a chilling clinical precision, right down to the gorgeous opening shot of a white vinyl (Play With Fire – The Rolling Stones) spinning round and round without stopping. Mullan is remarkable in the role of the elderly Delos patriarch, moving between spitting bitterness and arrogance to faded confusion, stammering uncertainties and silent glaring – a masterclass in subtle physical performance. He’s matched by Ed Harris and Jimmi Simpson (still a welcome returning face), who gives us another reminder of how William has grown (or devolved) over the years, starting off mercifully to Jim 2.0 and 3.0, but eventually relishing the chance to tell Jim 149.0 that his son, Logan, is already dead, his daughter has killed herself, and that he’s also kicked the bucket too. 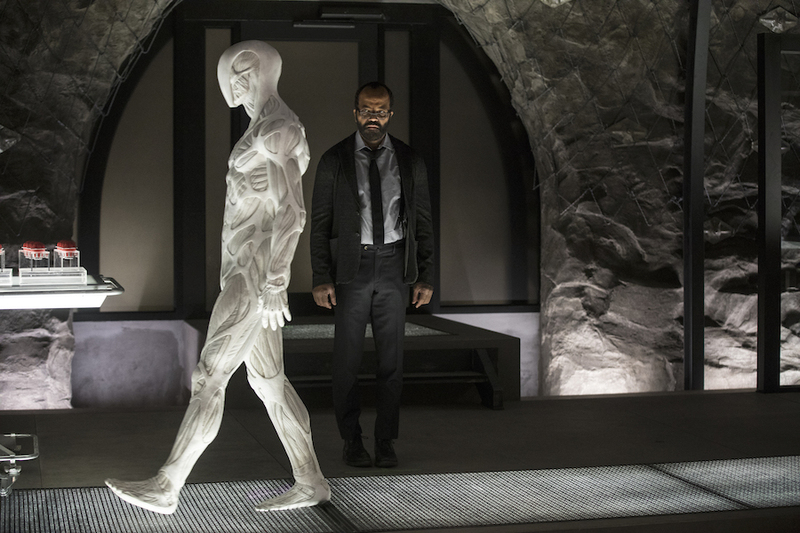 It’s a similar kind of revelation to the one faced by Bernard in Season 1, and Jeffrey Wright’s ambiguous automaton remains the best thing in Westworld. His unreliable memory remains the filter through which the season metes out its unanswered questions – all of which spring from that two-week time period between the uprising and him now. In the present day, he wakes up outside a cave, where he finds Elsie (Shannon Woodward – another welcome returning cast member), whom Ford ordered him to kill back in the first season. It emerges that he didn’t, instead leaving her chained to a rock in the middle of the park – the kind of gesture that only a robot would consider kind charity. Elsie is shocked to discover that Bernard is a host, but quick to believe him. “I always trusted code more than people anyway,” she remarks wryly, again helping to blur the boundary between what’s real and not, and what’s replaceable and isn’t. “For the first time, I get to decide who to be,” reasons Bernard, as he goes about his business without Ford governing his actions. Those actions, we discover, were really quite nasty, as Bernard remembers that he has been to the cave – and the secret lab it contains – before. Today, the lab is full of dead tech staff and dead hosts, all of which are white, plain-faced and creepy as all heck. What were they doing there? Watching the guests, we suspect, which proves just how willing the Delos corporation was to infiltrate people’s privacy. What killed them? That turns out to be Bernard, who was sent to the facility to print out a human clone, and then erase all trace of evidence in his wake. But who was the human? That’s the real mystery we’re not sure about – although we see Bernard pocket a red ball, which is presumably some kind of memory storage for a person’s identity, rather than a sign of has hitherto untold passion for snooker. There are, essentially, two possibilities. First, it was a clone of someone rich or influential who still exists (or has now been bumped off) in the real world – a power play by Delos to do something truly evil. Second, it was a clone of someone we already know, perhaps Robert Ford himself. After all, with that time-gap in Bernard’s mind, is it not possible that Ford met him in that blank period to resurrect himself, and keep pulling the puppet strings unseen? Our suspicion is that this won’t be the case: it’s not really in keeping with the ego-less destination at which the character’s journey arrived in Season 1’s finale. 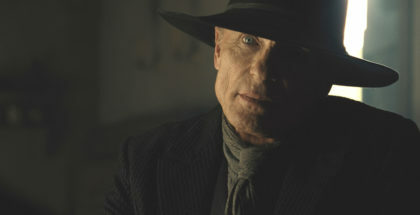 If we simply accept Ford’s ongoing messages to be the ghost of the hosts’ creator in the proverbial machine, then, what if it were The Man in Black, replaced by a host when the real human version of him got a little too close to stopping what Delos was trying to do, leaving him wandering the park with a riddle he can never solve? Speaking of The Man in Black, the rest of the episode is dedicated to seeing him hook up with Lawrence (Clifton Collins Jr.) to follow through his apparently pre-planned narrative. They go to Lawrence’s hometown, which is now overrun by Major Craddock and his Confederados. Craddock is trying to find a hidden stash of weapons, and The Man in Black offers to tell him, so that they can team up and give him an army to head to the Valley Beyond and face whatever is in store (it could well be the lab where Jim Delos was left to rot and go crazy). Craddock, however, threatens the wife of Lawrence, bringing out The Man in Black’s repressed memories of his kinder side, and his recollections of his own wife’s death. “Death’s decisions are final,” declares The Man in Black. “It’s only the living that waver. Death is always true.” What if the secretly-printed human were a member of William’s family, or his deceased wife, brought back by Ford to challenge William’s mature grasp of humankind’s mortality once and for all? Meanwhile, an explosive bit of revenge puts Craddock out of action, and so The Man in Black rides west out of town with some supporters. Along the way, who should they encounter but Grace (Katja Herbers), the tiger-fleeing woman from last episode? She greets him with a single word: dad. 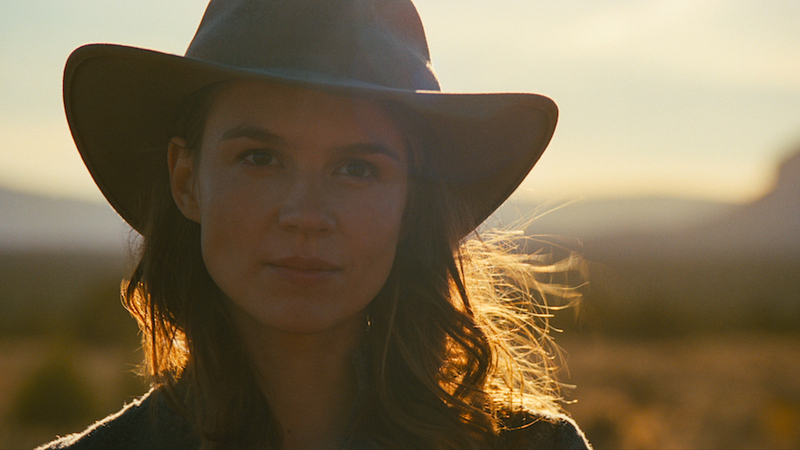 And so the generations are tied neatly together, with Herbers and Harris both bringing a huge amount of pain (and mutual respect) with just a look (Joy’s close-ups channel the Western genre beautifully in that way). 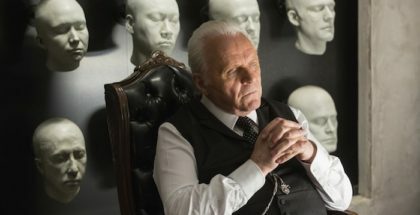 It’s that tighter, intimate focus that sets Westworld Season 2 on a hugely promising path, fully recapturing the intrigue of Season 1 while heading in a new direction. Which one of this duo is real and which one isn’t? They’re both replaceable, so it perhaps no longer matters. Episode 4, though, quietly posits a new way to define identity: “You live as long as the last person who remembers you,” a Ghost Nation elder tells Grace and Stubbs (Luke Hemsworth), the park’s head of security, who joins Elsie in the Not Dead After All camp. Grace and The Man in Black certainly have a lot of past memories of each other just waiting to unfold. Will either have to make, or have their already made, an offering to the dDvil?